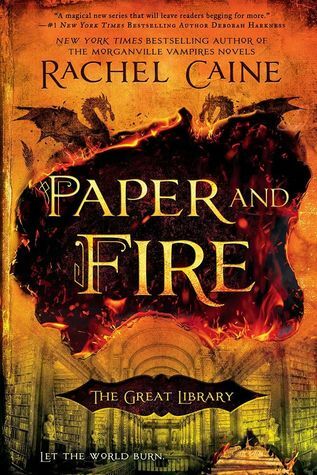 An unbelievably great sequel to Ink and Bone, I loved Paper and Fire even more! The conspiracy continues as we delve deeper into the Big Brother control of The Great Library. Treachery, secrets, loyalties and danger all play a part in this thrilling adventure. With a growing interest in the mythical Black Archives, Jess uncovers critical information that may bring a full on war. Still grieving his friend, Thomas, Jess and his crew are more determined than ever to get justice not just for those he’s lost, but for the discarded knowledge The Library wants to keep quiet. My favorite aspect of this book was the development of the automatons, as it provided more of a thrill factor that gave the story a great pace. The automatons are becoming more of a threat, as just like the personal journals, they become the eyes of The Library and put Jess in more danger. Who can they trust as they uncover deep secrets and treacherous lies? Set in the future but kept in the past, If you enjoyed Ink and Bone, then Paper and Fire will rock your world!